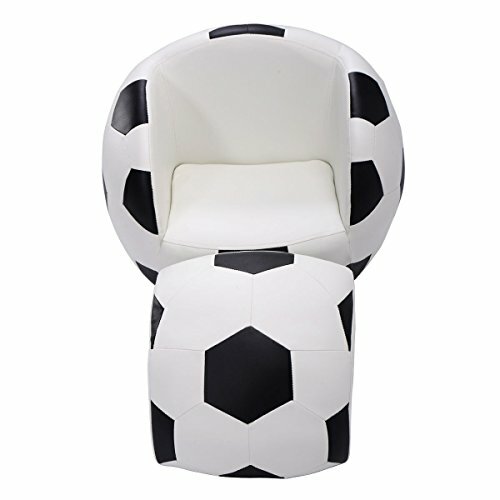 This children football shaped sofa with matching ottoman is a fun and multi-functional addition to any kids room. It is a kind of sofa for entertainment and leisure. The comfortable material that children can enjoy. It makes a great reading seat or you can put your feet on the ottoman when watching TV. Kids can lie on the chairs and use the accompanying ottoman to rest their feet after a long day of playing.